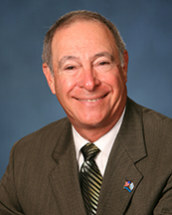 Chuck Cohen concentrates in the areas of business and tax planning, estate planning healthcare, and employee benefits. Mr. Cohen has an AV Preeminent Peer Review rating from Martindale-Hubbell Law Directory. Born in Greenville, Kentucky, Mr. Cohen graduated from Greenville High School as the salutatorian, then attended Indiana University. There, he was a member of Sigma Alpha Mu, graduating in 1963 with a B.S. in Accounting, being elected to Beta Gamma Sigma, business scholastic honorary, and being commissioned as a 2nd Lieutenant in the U.S. Army (ROTC). He graduated from Indiana University-Bloomington law school in 1966 with a J.D. degree, having served on the Law Review (senior symposium editor), and being elected to the Order of the Coif (scholastic honorary). While in law school, Mr. Cohen successfully completed the CPA exam. Following graduation, Mr. Cohen entered the U.S. Army in the Medical Service Corps serving in Ft. Myer, Virginia (1966-67) and at the 3rd Surgical Hospital, Dong Tam, Vietnam (1967-68) where he was awarded the Bronze Star for meritorious service in a combat zone. He completed his military service as a Captain in 1968. Mr. Cohen is serving or has served the local Jewish Community as: President of the Jewish Federation of Greater Indianapolis President of the Jewish Community Center of Indianapolis President of Broadmoor Country Club Chair of the Federation Endowment Committee Co-Chair Federation Annual Campaign (1995,2000 and 2013) Co-Chair Operation Exodus II Co-Chair Israel Emergency Campaign (2006) President Indianapolis Hebrew Congregation Foundation Board Member Indianapolis Hebrew Congregation Mr. Cohen is serving or has served the national Jewish Community as: Jewish Federations of North America Board of Trustees, Chair of Intermediate Cities Trustees Co-Chair and Chair of Jewish Federations of North America Planned Giving and Endowment Committee Jewish Federations of North America Israel and Overseas Committee Sigma Alpha Mu Certificate of Merit 2012 Board of Directors of America's Voices in Israel In October, 2004, Mr. Cohen received the Jerusalem Medal from the Israel Bond organization for service to Israel and was appointed a Sagamore of the Wabash by the Governor of Indiana, the highest honor the State of Indiana can bestow on a citizen.